Osamil serves up a really great brunch on weekends. They open nice and early too, at 10:30, so if you’re like me and think that brunch is really just a big breakfast with booze, then 10:30 is right on the money. We went at 12:30 with another food couple that we’re friends with though, so this became our main meal of the day. The cocktail menu is really fun here. 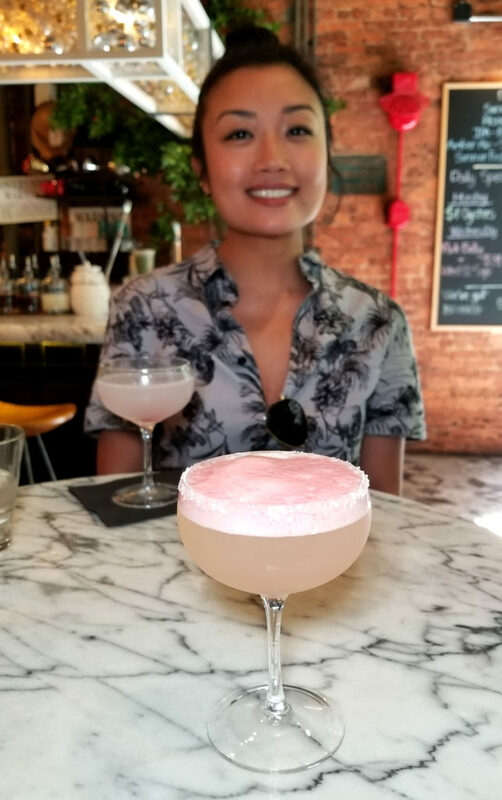 This pink one had watermelon foam and mescal. Very nice. 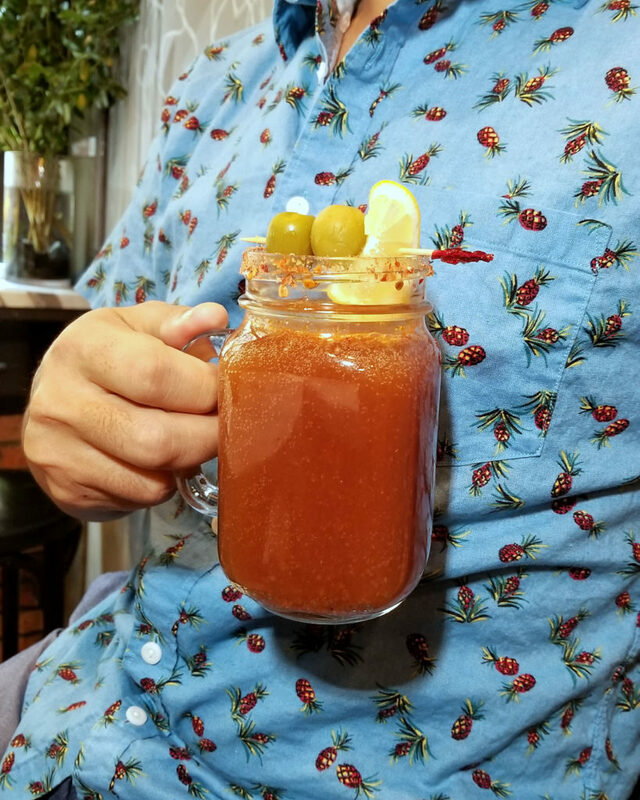 I also tried a michelada (beer and bloody mix), which was nice. 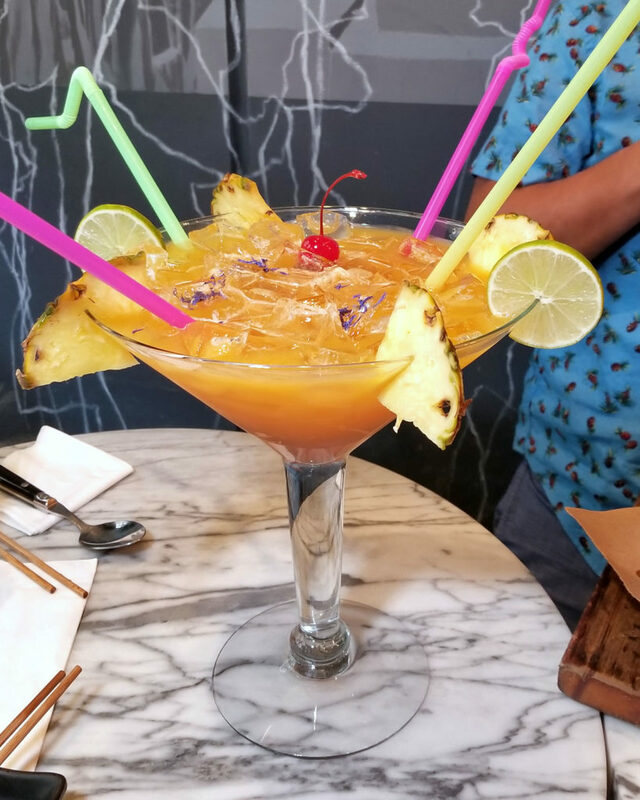 And we shared this giant punch bowl. 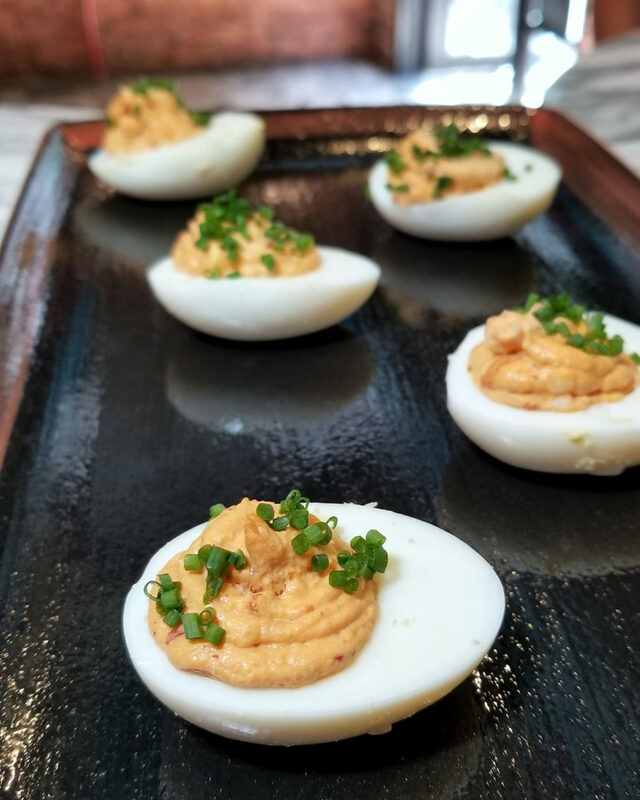 As for the food, we started with some kimchi deviled eggs, which had a nice spice level to them. Next up was cold uni bibimbap. 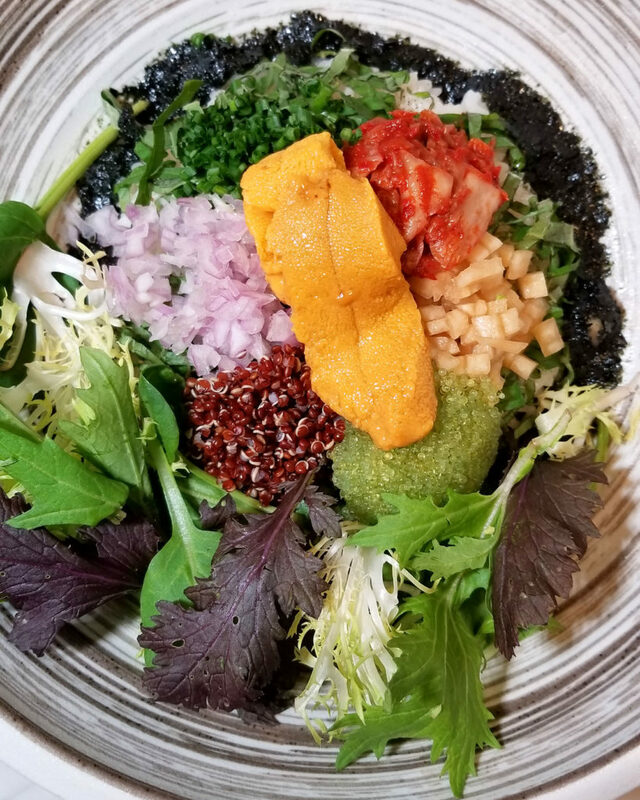 Essentially this is rice, kimchi, egg, quinoa, onion, nori, mixed greens and other tasty things, mixed up with some uni (wish there was more). 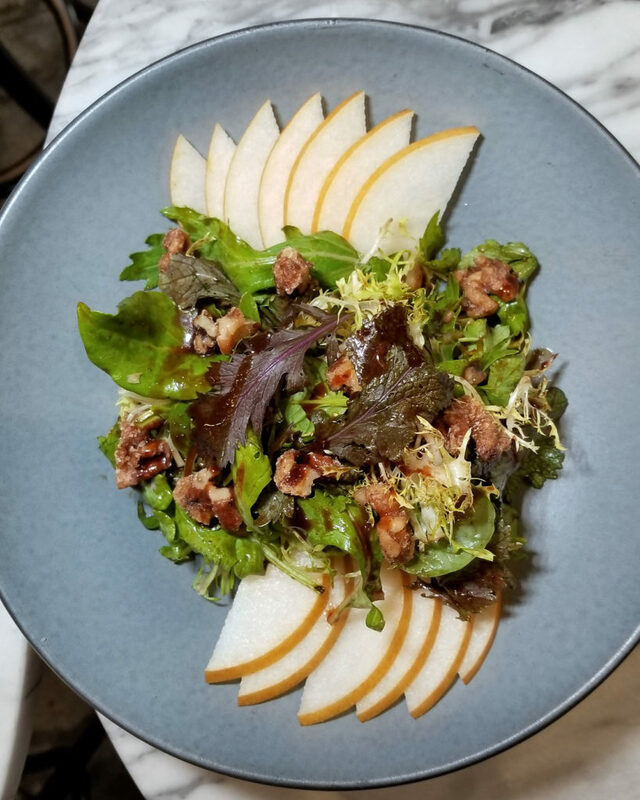 This asian pear salad with candied walnuts was really nice and refreshing too. 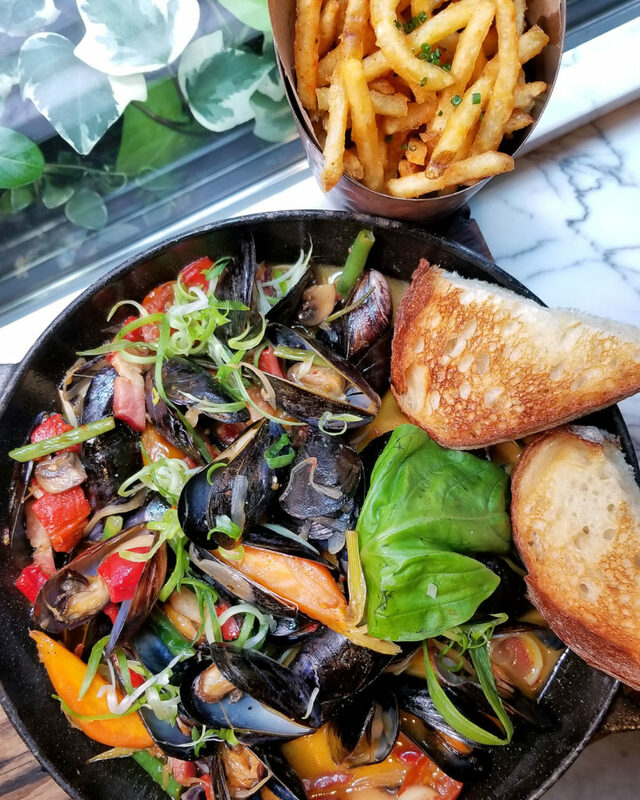 The broth for these mussels is incredibly slurpable. I was eating it by the spoonful throughout the meal. And yes there is bacon in there. And those fries you see there are some of the best in the city. Might be my new favorite, as a matter of fact. They’re dusted with pimento and finished with truffle oil. Okay so let’s get to the meat. 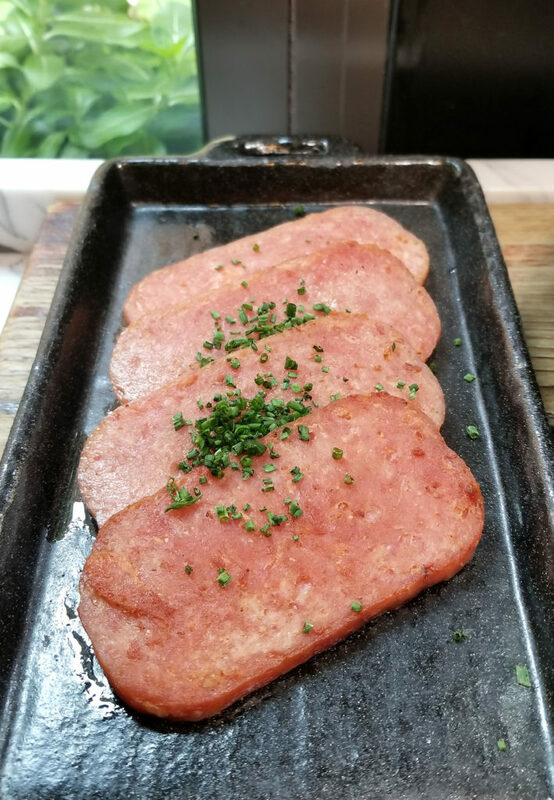 First, spam. I know, I know… but it really is good. 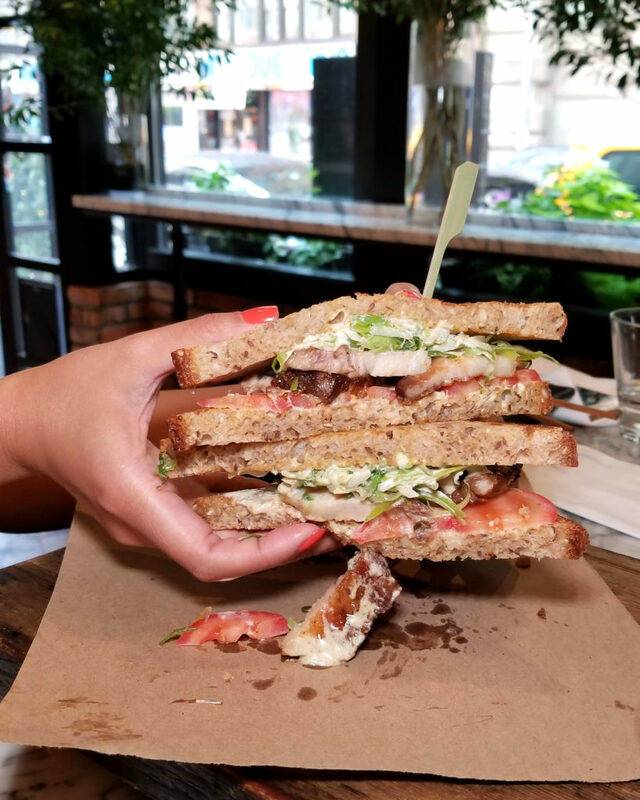 Next, pork belly, lettuce and tomato sandwich. So good! 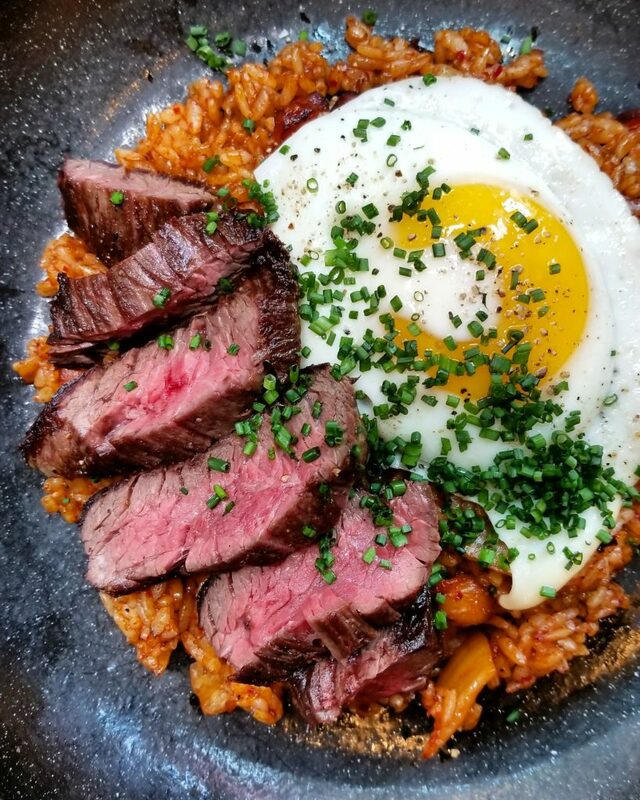 But here’s the show stopper: grilled prime hanger steak served atop bacon and kimchi fried rice, with a sunny-side up egg. Amazing. THAT’s what breakfast should be… Not only is it gorgeous but it tasted great too. 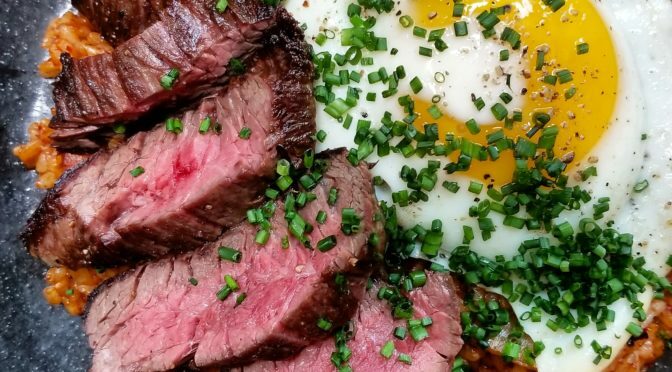 The steak could have used a bit more salt and pepper, but that’s only if you were eating it by itself. When combined with the rice, you got all the savory elements from the bacon and kimchi working together with the steak, so it’s all good. 9/10.